ONLINE REGISTRATIONS HAVE NOW CLOSED - PLEASE REGISTER IN PERSON. 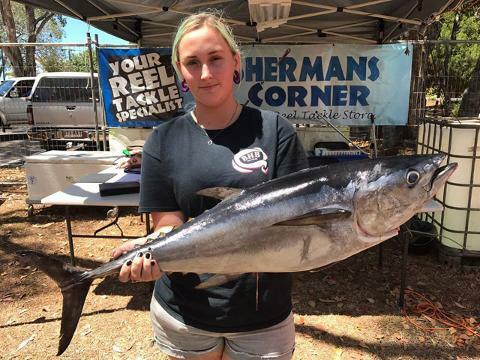 Hervey Bay Boat Club Fishing and Social Club will be held from Thursday, March 8 to Sunday, March 11 2018 at Dayman Park in Pulgul Street Urangan Hervey Bay. 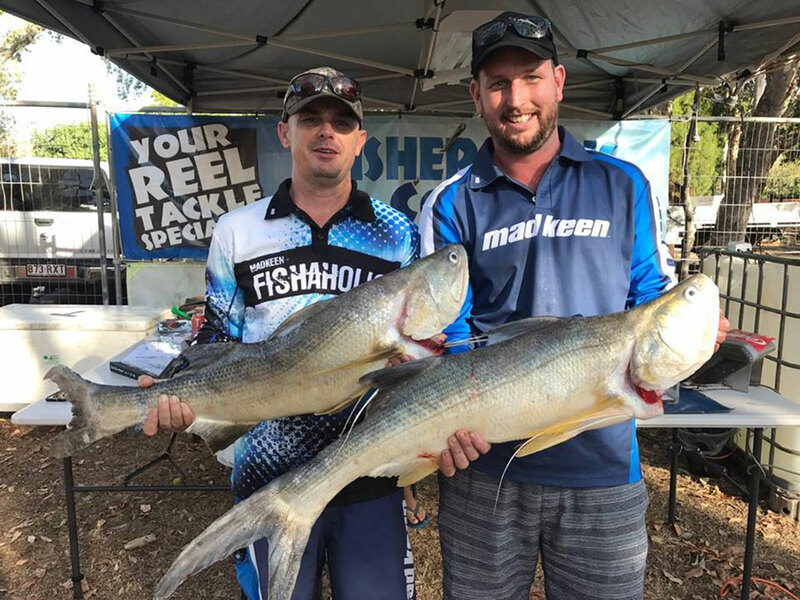 This will be the 26th year of the popular event which attracts entrants from all over Australia to participate in an exciting four days of fishing and fun, hoping to win a prize or two while enjoying the excellent facilities of the Fraser Coast and the sheltered waters of Hervey Bay and Fraser Island. Entry costs are Seniors $40 and Juniors 17 and under $10 (juniors are eligible to enter the senior section). The fun starts on Thursday with the licensed bar open at 5pm and spinning wheel raffles for Fraser Island Ice Boxes, cash and tackle prizes. Cold drinks and hot food will be available from the Sunrise Rotary food van and the official opening will be at 6pm followed by lucky draws and presentations. The same times apply on Friday and Saturday and on Sunday the spinning wheel, food and drinks start at 11am and lucky draws and presentations start at 12pm. There will be over $30,000 of prizes to win in the spinning wheel raffles and lucky draws including $250 Tackle World vouchers Thursday, Friday and Saturday and a $500 Tackle World voucher on Sunday. Every senior entrant will be in every senior draw including the Super Draw for a boat package from Bay City Marine. Every junior entrant will be in every junior draw including the Junior Super Draw for an I Pad from Wide Bay Motor Group. Many entrants do not fish at all and simply go along to enjoy the atmosphere at the presentations, partake in the food and refreshments and perhaps win some of the hundreds of prizes up for grabs. You can start fishing immediately after the official opening and lucky draws and there will be around $10,000 of prizes to win in both the live and dead fish categories. Eligible species in the live section are flathead (live only), bream and whiting, and species eligible for the dead weigh-in are whiting, blackalL, bream, golden trevally and coral bream. Also for the seniors there is an “any other species category,” (excluding flathead, cod, spanish mackerel, shark and ray). Daily prizes will be a rod and reel combo for the heaviest fish of each species and the any other species category, plus runner up prizes and 90 litre ice boxes for the overall winners plus runner up prizes. Also everyone that weighed in a live fish will go into a draw for a water snake electric motor and there will be a $1000 Tackle World voucher for the best fish in the any other species category, plus daily prizes. Weigh-in times are Friday and Saturday 8.30am to 6pm and Sunday 8.30am to 12 noon. 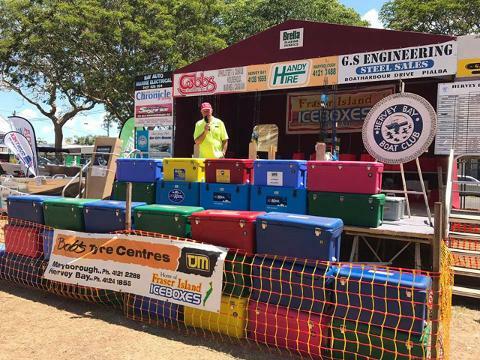 Thanks to the excellent support and generosity of The Fraser Coast Regional Council and local businesses the competition has been a huge success each year, so make plans now to enter this popular event. Entry forms are available at tackle shops in Hervey Bay and Maryborough, at the Chronicle offices and at the Hervey Bay Boat Club, Sporties Club and Pialba Bowls Club or phone 0407 663 578 or on our web site www.fishingcompherveybay.org.au or check out the Hervey Bay Boat Club web site.